You may be unable to sign out of iCloud for verification. Some of you may see this message “There was an error connecting to the Apple ID server” and the others may see this one “Your Apple ID or password is incorrect”. No matter which error you meet, you can find some specific ways to fix it. When you tried to sign out of iCloud it said “There was an error connecting to iCloud server”, you’ll need to be sure that your iPhone has stable internet connection before proceeding. If your iPhone internet is working perfectly and the problem persists, there are some other ways you can try to sign out of iCloud. Ensure that your date and time settings are correct. If you’ve set an incorrect time, this kind of error can appear. So, go to Settings => General => Date & Time => Set Automatically, to set your date and time using the internet time. If you’re using multiple accounts for App Store, iTunes, iCloud, ensure you desist from it as this also can cause you problems. If you’ve reset your network settings, then try signing out of your iCloud using a different Wi-Fi connection and it should solved. If Wi-Fi internet doesn’t work, please make sure you turn on “Cellular” in Settings. If iCloud Backup is enabled on your iPhone, then you should turn it off before repeating the process again. If the above methods don’t work out for you, you can wait for some time and try again. Or you can use the way introduced below to sign your iPhone out of iCloud bypassing the verification failed error. 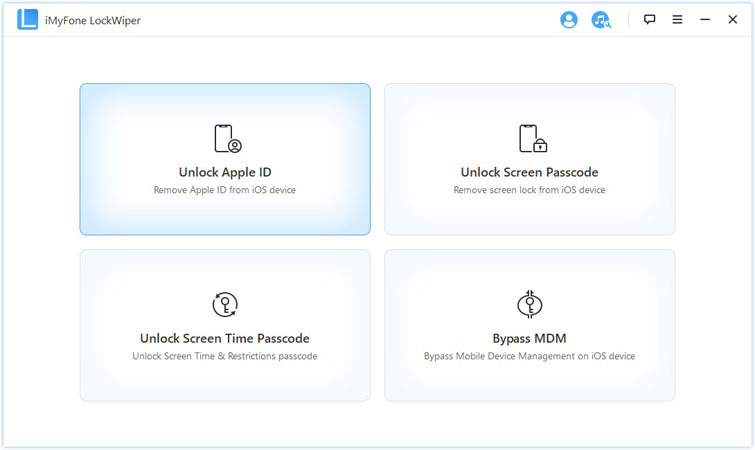 If you cannot sign out of iCloud because Apple ID or password is incorrect and you can’t remember the correct one, then you need the help of iMyFone LockWiper - an advanced tool specifically developed to remove iCloud account from iPhone without password. LockWiper is major in solving any iOS locks issues without password, like screen lock, Apple ID lock, restriction lock, etc. 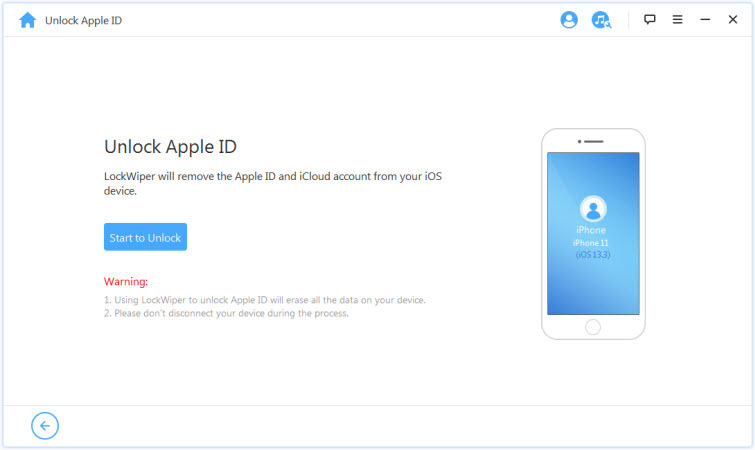 Unlock iCloud without Password: LockWiper guarantees a permanent solution to instantly unlock your iDevice from iCloud and Apple ID without any password. Enjoy All After Unlocking: You can enjoy all iOS features and take full control over your device after unlocking. It won’t be tracked or blocked by the previous iCloud account. Complete DIY: With LockWiper, you can unlock your iPhone at the comfort of your bedroom with just a PC. Step 1: Download and install LockWiper by clicking the blue Try buttons below. Then Launch the software. Choose “Unlock Apple ID” from the home interface. 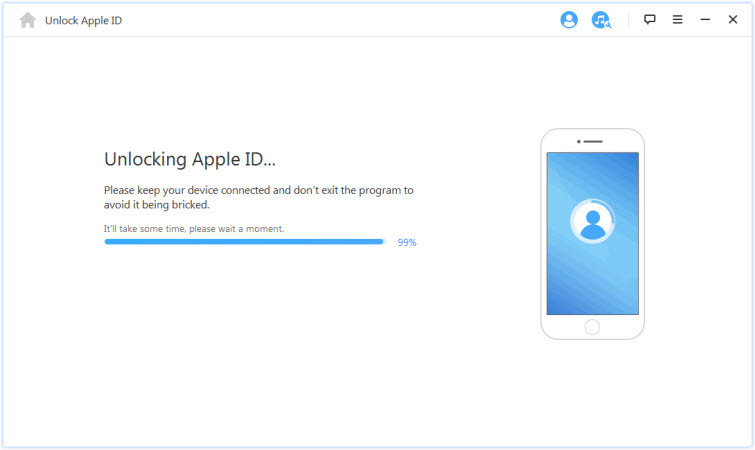 Step 2: Connect your iPhone or iPad to computer and trust the connection. On the next page, click “Start to Unlock”. Step 3: LockWiper will start unlocking. It will complete in a few seconds. If Find My iPhone is enabled on your iPhone, perform your iPhone to reset all settings first. When your iPhone restarts, unlocking process starts immediately. This post introduces you the complete solutions to successfully sign out of iCloud account when you failed. It’s not quite difficult to do. You can take different actions to fix it depending on the different situations. With iMyFone LockWiper, you can successfully sign out of iCloud for any situation. If you never get started, don’t be hesitate to download LockWiper and connect your device to try.